As a basketball trainer, I get the chance to impact the basketball journeys of a number of kids every week. 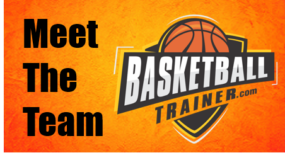 The successes I and my training partners experience with young players are normally shared with our players and their parents, but I wanted to take the time out to share a recent basketball training success story. Here is the story of Lucas. I met Lucas a little over a year ago. He was referred to me by another young player I was training at the time. Lucas stepped into the gym as an impressive looking physical specimen for a 7th grader. He was about 5’10” tall and seemed to be a physically strong athlete. His father let me know he was a pretty decent lineman/linebacker in football at his school. Now anytime you see a 5’10” 7th grader you automatically assume that his height would allow him to make the basketball team. But Lucas decided to try out basketball training because he did not make his school team – not the A team or the B team. The first night of training we threw Lucas in there with some other kids his age for a warm-up scrimmage. He showed pretty good athleticism by rebounding and blocking a couple of shots. But in the individual evaluation after the instruction it became clear that Lucas couldn’t consistently make a layup with either hand, and when he did make layups with his dominant hand, he was jumping off of the wrong foot. Lucas’ confidence grew over the summer (he began training with me in the spring) as he played pickup ball with buddies who were on his school’s basketball team the previous year. Friends and parents of Lucas’ friends began to take notice of the player Lucas was becoming. He also joined a local club basketball team to get some game experience under his belt. Even though he joined the club team, he remained faithful to basketball training and he continued to improve at an impressive rate. Now, the growth wasn’t all smooth. Lucas had some up-and-down times as he struggled with confidence and attitude in some areas, as most young players do. I did my best to work with Lucas on the mental side of the game as well as the skills portion, and overall he was receptive. We began to attack mental hurdles like what to do when your shot’s not falling, positively receiving constructive criticism, seeing yourself from a coach’s perspective and approaching the game like the best player on the floor. In the fall, Lucas’ school had a multiple day tryout. After each day I was on pins and needles as I waited to get the report from Lucas’ father. At the end of the tryouts and initial week of team practice, Lucas not only made his team – but he made his school’s A Team. That’s right – he went from no team to the top team. His willingness to humble himself and submit to basketball training, his willingness to put in the work outside of the training gym, and his commitment to training consistency paid off for him. Lucas continued to train with me during his basketball season, as he realized two things: basketball practice is not the same as working on and improving your game, and you never want to stop personal player development. After his school season, Lucas tried out for and was offered a spot on a local club team’s top traveling team for his age. He actually declined that offer and joined a separate organization that allows him to build chemistry with some of his future HS teammates. As his ability was growing, so were his opportunities. Lucas’ story is a great one, and his success is what the basketball training business is all about. Know that Lucas is not alone is achieving basketball success after initial failure, as basketball success is an option for anyone willing to commit to it. We’d love to help you to have a story like Lucas’, so contact us today to get your very own basketball success story rolling!